9/11, 7/7 & the War on Freedom :: View topic - 'Beheadings' of Foley etc staged as Syria invasion pretext? 'Beheadings' of Foley etc staged as Syria invasion pretext? Posted: Sun Aug 24, 2014 12:56 pm Post subject: 'Beheadings' of Foley etc staged as Syria invasion pretext? 'Beheading' of James Foley another pre-WWIII PsyOp? “ISIS is everywhere, because the CIA is everywhere”. America is both shocked and horrified at the video posted on August 19th, on YouTube, showing American Journalist, James Foley kneeling next to a man dressed in black. Foley reads a message, presumably written by his captors, that his “real killer” is America. Foley can be heard saying in the video. He is then shown being beheaded. ISIS controls vast territory of both Syria and Iraq, and they just posted a video on the Internet of the beheading of an American journalist. America can expect to see much more of the same in order to maximize the PSYOPS that is being directed at American public opinion as we rapidly move towards our date with World War III. ISIS has released a number of tweets which proclaims they are going to bring to America extreme harm. ISIS had a sign in Ferguson proclaiming that they were present. It looks like America has a lot to be worried about. ISIS is beheading journalists, threatening America on Twitter and displaying signs on the streets of Ferguson, MO. We should be frightened and now when the next 9/11 false flag attack occurs we know who to blame, don’t we? And on and on the drum beats on. ISIS is everywhere! Why? Because the CIA is everywhere! As some prominent people in American circles would say, “The dumbing down of America is nearly complete”. Most Americans look at current events with the mindset and reasoning ability of a child. Sorry, but the mental midgets which comprise the majority of the sheep in the country, badly need to Google the word “PSYOP(S)”, but alas, most of our fellow countrymen could not be pulled from the couch, and the upcoming NFL season, long enough to be bothered with the looking up of even this one term. For those who are too busy to familiarize yourself with the term and possess a decided lack of common sense needed to understand when you and your country are the victim of the process, please allow me to save you the time and trouble. PSYOPS or Psychological Operations: “Planned operations to convey selected information and indicators to foreign audiences to influence their emotions, motives, objective reasoning, and ultimately the behavior of foreign governments, organizations, groups, and individuals. The purpose of psychological operations is to induce or reinforce foreign attitudes and behavior favorable to the originator’s objectives. Also called PSYOP. See also consolidation psychological operations; overt peacetime psychological operations programs; perception management. (Source: U.S. Department of Defense). We might be well-advised to replace our current national mindset, which is being conditioned by the present CIA sponsored PSYOPS which is inundating us with the belief that “We (ISIS) are everywhere”, and replace this child-like thinking with some fact-based information. Syria has seen terrorist groups operating in their country for over three years. These terrorist groups are operating with the approval of the war mongers in Washington DC and their allies in London and Paris. These terrorist groups are operating with the full knowledge and backing of NATO and their allies in the Gulf, namely Saudi Arabia and Qatar. Saudi Intelligence and a host of CIA backed terror groups such as Jabhat al-Nusra, Abdullah Azzam Brigades and Al Baraa ibn Malik Martyrdom Brigade, the Libyan Islamic Fighting Group, the ultra-extreme jihadist group Ahrar al-Sham, the PK and Kata’ib Mohadzherin have been wreaking havoc in Syria for much longer that ISIS has been in existence. And where did all these (ISIS) terrorist groups get their vast weaponry? As reported in the MSM, they got their weapons from leftover weapons supplies in Iraq which was left by our troops when we pulled out of the country. Shouldn’t the U.S. have destroyed their weapons stockpiles? That would have been standard operating procedure, unless someone in our government was interested in arming terrorists with American military grade weaponry and subsequently pointed them in the direction of Syria,knowing full well that his would become the gateway for military intervention into Syria. As Doug Hagmann and his source predicted this past Spring, ISIS would roll across Iraq and into Syria, thus forcing an American response as ISIS would be poised to pose a series of horrific events (i.e. false flag events in Syria). The execution of Foley is just an example of what is to come. As predicted, this would be the impetus of World War III. The Obama administration will also use a series of domestic based false flag events to justify inserting the American military into Syria in order to exact vengeance against this CIA front operation. However, let’s not forget that BOTH China and Russia have publicly threatened to “Nuke” the United States if it dared to invade Syria. There is a predictable train wreck coming and it is coming in the very near future. An American invasion of Syria would accomplish a number of things. First, the American military would be able to deploy its medium range missile batteries and neutralize any Russian advance into the region. Second, Syria is an ideal jumping off point from which to invade Iran which has galvanized the BRICS as they purchase oil with Gold rather than the Petrodollar. This is destroying the precious Federal Reserve’s most precious asset, the dollar. Third, when the Russians respond to a Syrian invasion as they have promised, the Obama administration will be free to initiate World War III against the Russians which is their prime objective. Recently, I interviewed former CIA operative, Dr. Jim Garrow, on The Common Sense Show, and he stated that he had intelligence information that several malls were going to be attacked at the same time. 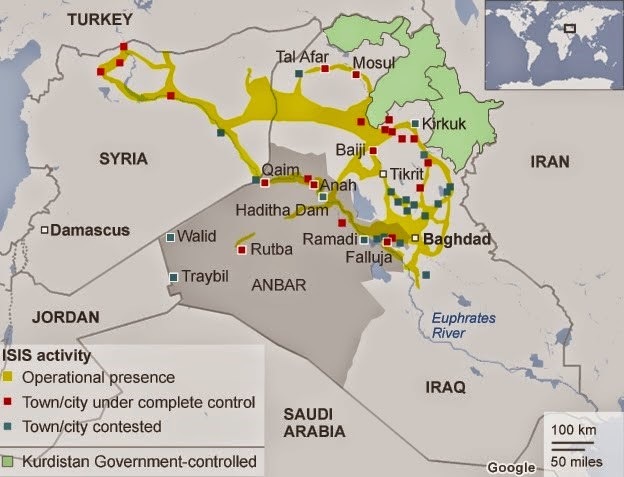 Garrow’s warning predated the inundation of the fact that ISIS “is everywhere”. ISIS, a CIA creation, is being championed as both the planner and executioner of a series of false flag operations designed to enflame the American public to accept going into Syria. Doesn’t this just smell like post 9/11 America when we used the emotion of the event to sell the American people on the need to invade Iraq who had nothing to do with the 9/11 attacks? But the upcoming football season is looking mighty good and the average American can’t be bothered with events so far away. It won’t be until the country has their football game pre-empted by news that 1,000 malls have been attacked as per Jim Garrow. I have no doubt this is how WW III will commence. For 18 months, I have discussed all the ancillary variables which will comprise the coming war. In my next article, I will lay out the unfolding chronology of events in both the path to WW III and the course of the war itself. I would caution America to be mindful of the fact that ISIS is indeed everywhere, just like al-Qaeda was once everywhere, and that is because the CIA is everywhere! Is the execution of James Foley just a 'Big Lie'? Why would Arab ISIS put a British recruit in charge of important prisoners? Why are these Islamist leaders all graduates of US torture prisons such as Guantanamo? The Islamic State and the war in Syria is back on the front pages of the news once again on the heels of the alleged killing of James Mark Foley, an American journalist working in Syria. The outrage surrounding the alleged beheading of Foley, while justifiable if it is real, is already being used for propaganda purposes, namely in order to build up American support for an aerial bombing campaign against the Syrian government. With this in mind, it is important to examine the facts surrounding the alleged execution of James Foley and the ways in which this incident is being used to justify more American military intervention in the Middle East and Syria specifically. While beheadings are by no means unbelievable or foreign to the Syrian destabilization crisis, the alleged beheading of journalist James Foley is one that should be viewed with some amount of healthy skepticism. Indeed, there are a number of anomalies associated this particular video that set it apart from the scores of other beheading videos produced by the Western-backed death squads attempting to overthrow the government of Bashar al-Assad and establish an Islamic caliphate across the Middle East. A number of commentators have pointed out that James Foley seems remarkably calm and collected in the video, particularly given the fact that he knows that he is not very much longer for this world. Some may argue that Foley is calm due to fact that he knows he is going to die and has made peace with this fact, a condition that overtakes many when death is imminent. Others, however, may point to this as evidence to the contrary, i.e. that Foley knows he is not going to die and thus suggests that he is, in fact, acting in a cleverly devised propaganda video. Second, there is the fact of a distinct lack of blood in an execution that involves the slicing of a human throat. As Syrian Free Press reports, when one slows down the video, it is evident that the knife held by the death squad fighter cuts back and forth 7-10 times. Yet there is not one drop of blood to be seen. This is highly unusual to say the least. Third, and perhaps most damning, is the fact that the process of the actual beheading is censored. In all the videotaped beheadings that have taken place in the Syrian war since 2011, there have been none (at least as far as this writer knows) that have been censored by ISIS or any other death squad organization. Indeed, if the entire purpose of the beheading video is to create fear and outrage, then censoring the actual beheading is counterproductive. Lastly, it is important to point out that the Islamic State is not some shadowy force that emerged from the caves of Afghanistan to form an effective military force that is funded by Twitter donations and murky secretive finance deals. IS is entirely the creation of NATO and the West and it remains in control of the organization. Beginning in 2011 - and actually even as early as 2007 - the United States has been arming, funding, and supporting the Muslim Brotherhood and a myriad of armed terrorist organizations to overthrow the government of Syria, fight Hezbollah in Lebanon, and undermine the power and influence of Iran, which of course includes any other government or group in the MENA region friendly toward Tehran. This is where Psychological Warfare is going. Plane load of Malays and Chinese MH370 cyber-hijacked and because the Chinese refuse to vote against Russia at the UNSC over Crimea put into a Diego Garcia human mincing machine then forgotten. Plane load of mostly Europeans MH17 blown out of the sky by German supported Kiev neo-Nazis then forgotten. We won't show you Palestinian babies blown to bits but you can watch our likely faked videos or if you don't want to BBC Zio-Nazis will interpret them FOR you so you can stay in your comfort zone. The parents of James Foley, the American journalist who was killed by Islamic State militants, have spoken to journalists about their loss. John Foley said he was deeply shocked at the beheading of his son, and called him a "martyr for freedom". Speaking at a news conference at the family's New Hampshire home, Mr Foley's mother, Diane, said they had not watched the video of the killing. CAN'T BLAME THEM THOUGH - TO WATCH YOUR SON HAVING HIS 'THROAT SLIT' WHY SHOULD THEY GO THROUGH THAT? We are getting very close to World War with EU/US/NATO/Israel vs SCO/Russia/China folks. Just received a circular text (at 10:30pm) that groups of christians in Northern Iraq are under serious threat of beheading in the next few hours. Possibly other non muslim minorities as well. Now confirmed by the organisation whose name the text was in that this particular text is not from them and is a hoax. An NHS doctor from east London who was previously accused of kidnapping Western journalists in Syria may hold the key to identifying the jihadi who beheaded James Foley, intelligence sources have disclosed. the full video. In other words, a trap. I got this newsletter from Forbidden Knowledge; does seem to make sense. Do any of you tech-whiz's have a programme for voice identification? It should be easy to prove one way or another if it is the same person (same could be done with other suspicious 'lookalikes', as in Sandy Hook etc.). James Foley, Steven Sotloff, David Haines beheading videos ALL staged? More lies to invade Syria? "The intentional bombing of armed forces and popular forces shows wicked intentions of the US and the international cover-up of this attempt on the pretext of fighting ISIL," an informed source from Iraq's Hezbollah Battalions told the Arabic-language Al-Moslah news website. "Had the United States been honest in its claims, it would have targeted the ISIL positions in Jorf Al-Sakhar, Faloujah, and other regions identified by us instead of striking the Army and popular forces in Al-Awisat in Northern Babil last Wednesday," the source said. He further said the US had used smart bombs and missiles in targeting the Iraqi army and popular forces twice in the last one month, and stressed that this could not have happened by mistake as the munitions used in the operations were smart and equipped with hi-tech. Hezbollah called for the vigilance of the Iraqi people against the US double-standard policies in Iraq. In a statement last Monday, the same group strongly rejected any cooperation with the US-led coalition against the ISIL, and said, "The coalition being formed against the ISIL which is led by the US is a prelude to a new occupation plot." "We believe that demanding help from the US means a confiscation (by the US) of the Iraqi nation and people's resistance against terrorism and the pain and agony that they have had to suffer for protecting Iraq's unity," the statement said. "We believe that the US is responsible for Iraq's problems and challenges and we do not have any hope in the United States," it added. The Battalions also urged Iraq's religious authorities and elites as well as other layers of the society from different walks of life to take straightforward stances about the current developments and the US meddling in the country before it's too late. ATO heads of state convened in the Welsh city of Newport on 4-5 September and US Secretary of State John Kerry and Defense Secretary Chuck Hagel told foreign and defense ministers participating in the NATO summit that the US was forming a broad international coalition against ISIL. If they target purportedly 'friendly' Iraq Government forces, it doesn't take much imagination to figure out who they will really be attacking if the target 'ISIS/IS' in Syria. If it was that easy to kill the ISIL terrorists in Raqqa than the Syrian air force would have done it long ago. The reason they haven’t is because the terrorists are living among the civilians. That doesn’t matter to Obama, he had his excuse to attack Syria and he doesn’t care about Syrian civilians. Even though the majority of ISIL have fled to Iraq, Obama had to attack Syria and cause a world war. This man is nothing but an absolute idiot, nothing he is doing makes any sense if he wants to destroy the terrorists. It only makes sense in destroying Syria. The only country who has been fighting Obama backed terrorists for 3 years. There is only one threat to the USA and that is Obama who is making enemies all over the world. Now the truth has come out that the allies if the USA, of Saudi Arabia, the United Arab Emirates, Jordan, Bahrain and Qatar who have been supporting ISIL against Syria and now the ones attacking Syria. In addition to a broader campaign of airstrikes against Islamic State targets across Syria on Monday night, the United States also pounded a little-known, but well-resourced al-Qaeda cell that some American officials fear could pose a direct threat to the United States. Army Lt. Gen. William C. Mayville Jr., director of operations for the Joint Chiefs of Staff, later told reporters that the group was in the “final stages of plans to execute major attacks against Western targets and potentially the U.S. homeland.” He added, “We believe the Khorasan Group was nearing the execution phase of an attack either in Europe” or the United States, having attempted to recruit Westerners who can more easily enter the target countries. TEHRAN (FNA)- Canadian humanist, Rodrigue Tremblay, once said: The world should be worried about those who go around the planet with a can of gasoline in one hand and a box of matches in the other, pretending to sell fire insurance. These days the world has indeed every reason to be worried: Because the Empire of Chaos and its coalition of terrorism financiers (Bahrain, Saudi Arabia, the United Arab Emirates, Qatar and Jordan) are doing just that: They have begun selling fictitious “security covers” to the people of the Middle East by bombing their own colonies of terror and violence in Syria! The fathers of ISIL, all of whom deny patrimony, are bombing their fundamentalist crazies in Syria after their foreign policy weapon against the “Axis of Resistance” (Iran, Syria and Lebanon) backfired. They vainly spent three years providing American weapons and petro-dollar cash to the “good terrorists,” including the medieval butchers of ISIL, in futile hopes that they would “degrade and ultimately destroy” the Syrian state. For better or worse, America’s coalition set out to destroy one state in Syria, yet ironically ended up creating a “caliphate” across the borders of Syria and Iraq; a medieval Frankenstein that is now completely out of control and fanatically hell-bent on destroying its own masters and the world as we know it. US military officials say the ongoing air strikes (without UN Security Council mandate or Syrian permission) are meant to target the ability of ISIL to command and control, resupply and train. If only Emperor Obama could have listened to someone that he has no clothes: His bogus coalition could have done just that; not by fighter warplanes, drones and Tomahawk cruise missiles, but by closing the jihadist highways and banks, terrorist training camps, and arms supply routes/depots in “friendly neighbors” like Turkey and Jordan. If they are worried about stopping terrorism, they must first stop participating in it! For now, it is apparent that the coalition of the killing is smashing the boogeyman of America’s own making ISIL. It is painfully evident that every member of this coalition also happens to be a co-conspirator with American CIA and Israeli MOSAAD in giving birth to the runaway monster – just like al-Qaeda. However, it doesn’t take a strategic mastermind to grasp that Obama’s war on ISIL in Syria looks more like Bush’s war on Afghanistan launched in 2001, supposedly to destroy al-Qaeda and the Taliban. The result spread al-Qaeda across the region and turned the Taliban into a guerrilla army of resistance. Thirteen years later, the Taliban controls large parts of Afghanistan and most NATO troops are on their way out. Al-Qaeda has been eclipsed by the even more extreme ISIL, which mushroomed out of the Western-sponsored destruction of the Iraqi and Syrian states. Something similar is also happening in the chaos left three years ago by NATO’s “humanitarian intervention” in Libya. And now we are witnessing a replay of the neocons’ “War on Terror,” more than a decade after it was demonstrated to only fuel terrorism rather than fight it. However, the new “War on Terror” in the Syrian theater cannot and will not destroy ISIL, because air strikes can only do so much. History tells us that it will portend further disaster for the people of Syria and Iraq, the region, and much of the world. All told, it is futile to deny the fact that in their eagerness to topple the Syrian government and appease Israel, the War Party and its nation partners created ISIL. Although they are at the heart of the current sectarian inferno, they are still going everywhere with their bombs and guns, pretending to sell security insurance. It’s a genuine madness on the loose, because the obvious conclusion is this: Only Iraqis and Syrians, and not Washington’s new shock and awe campaign, can defeat the “American Caliphate” and rid its medieval/violent ideology from their territories. As for the justification, you couldn't make it up. A little-known terrorist group that the US bombed in Syria was in the advanced stages of a plot to blow up airliners with explosives concealed in toothpaste, it has been reported. The Khorasan Group, a relatively unknown Al Qaeda offshoot, was among the groups targetted by the attacks on Syria on Tuesday, that also hit Islamic State's enclave in the country. One of the Khorasan Group's plots was to smuggle bombs on planes with non-metallic devices, including toothpaste tubes. It was in the final stages of planning the attack, a military source told CNN. The group's plot was the reason behind the sudden decision to ban uncharged mobile phones and electronic devices on flights in July this year. This followed the intelligence that the group was working with Yemeni bomb-makers to target airliners. William C. Mayville Jr, director of operations for the US Joint Chiefs of Staff, said the group was in the “final stages of plans to execute major attacks against Western targets and potentially the US homeland”. James R Clapper, the US Director of National Intelligence, said last week that Khorasan were more dangerous than IS "in terms of threat to the homeland". They are described as hardened jihadis from Afghanistan, Yemen and Syria who are not interested in seizing land but carrying out major attacks on the West. Its members travelled to Syria but intelligence agencies believe they were sent by al Qaeda leader Ayman al-Zawahiri to recruit Westerners already fighting there who could be more likely to get through airline and immigration security, rather than to fight Assad's forces. “They’re in Syria but they’re not really fighting in Syria,” Michael Leiter, the former director of the National Counterterrorism Center, told NBC News. What Do America's Arab Partners Really Want? Barack Obama called them "seasoned al Qaeda operatives." "Once again, it must be clear to anyone who would plot against America and try to do Americans harm that we will not tolerate safe havens for terrorists who threaten our people," he said. As well as around 200 air strikes launched with Arab allies on Tuesday morning against IS, the US, on its own, launched around 20 Tomahawk cruise missiles against eight Khorasan Group targets near Aleppo in the north west of the country. These targetted “training camps, an explosives and munitions production facility, a communications building and command and control facilities,” the Pentagon said. US Attorney General Eric Holder told Yahoo News: "We hit them last night out of a concern that they were getting close to an execution date of some of the plans that we have seen. "And the hitting that we did last night, I think, will probably continue until we are at a stage where we think we have degraded their ability to get at our allies or to the homeland." Kuwaiti Muhsin al Fadhli, a long-term Al Qaeda member, is the leader of the group. He has been tracked by intelligence services for nearly a decade. In 2012, the US State Department put up a $7 million reward for information that led to the capture of the "senior facilitator and financier" who was, it said, based in Iran at the time. With a rash of “beheadings” sweeping the world, a horrified public is asked to see this depraved barbarity as The New Normal. First we had the August “murder” on video of U.S. journalist James Foley, shown kneeling before a black-robed, masked figure brandishing a knife. Yes, even a rather small knife can do it (just as box-cutters can enable the hijacking of commercial airplanes). The perpetrator is identified as a member of the terrorist group ISIS (or IS or ISIL), which supposedly wants to install a new Islamic caliphate based in the region. …a study of the four-minute 40-second clip, carried out by an international forensic science company which has worked for police forces across Britain, suggested camera trickery and slick post-production techniques appear to have been used…no blood can be seen, even though the knife is drawn across the neck area at least six times. Nonetheless, the U.S. media continue to report this “beheading” as a real occurrence, over and over again, followed by another “beheading” of an American journalist, Steven J. Sotloff, in a video released in early September. This was supposedly a “second message to America” from ISIS: “Just as your missiles continue to strike our people, our knife will continue to strike the necks of your people.” This video too is problematic, with no blood in evidence before the scene fades to black. Both Foley and Sotloff have intelligence connections, as does SITE, the media dissemination service behind the release of the videos. SITE [Search for International Terrorist Entities] is an offshoot of Intel Center, both of which have an uncanny ability to produce such material at the most opportune times in support of U.S. foreign policy. A visit to the SITE website is instructive. The SITE Intelligence Group, founded in 2001 by Rita Katz, is an intelligence gathering operation that monitors jihadists online, often finding terrorist statements and videos as uploads “before they are published,” according to Katz. These are transmitted to U.S. intelligence services, which are curiously beholden to SITE for these sensitive materials, and they are then released to the U.S. media. All such information obtained by SITE and then broadcast is therefore suspect. Nonetheless, the Foley and Sotloff videos have reportedly gotten the U.S. public on board with the bombing of northern Iraq and Syria in an R-2-P operation (Responsibility To Protect), the real goal being to take out Bashar al-Assad in Syria. As for the U.K., David Haines was shown in a third “beheading” video released by SITE in mid-September. And the black-robed “killer” has a British accent, which surely indicates that British citizens have gone to Iraq-Syria to join ISIS – and that they could return to wreak havoc in the homeland. Not to neglect France, which now has its own beheading – of Hervé Gourdel, a mountaineering guide from Nice who was kidnapped in Algeria, shown in a video released by SITE in late September. And certainly Australia should have one as well, but a dastardly ISIS plot in Sydney was reportedly thwarted by the government. These western countries are instrumental to the U.S.-led coalition to protect the world against ISIS, since the coalition initially included only Middle Eastern client states such as Saudi Arabia, Qatar, Bahrain, United Arab Emirates, and Jordan. As of this writing, France, Australia, Belgium, Denmark, and England have now signed on, with Turkey lining up as well. Just to drive the point home (as it were) for any “war weary” Americans out there, we now have a home-grown beheading of an employee at a food processing plant in Moore, Oklahoma. The perpetrator, a black man named Alton Nolen, is said to have been fired from his job at Vaughan Foods. Nolen “recently started trying to convert some of his co-workers to the Muslim religion,” according to a police spokesperson. On “a Facebook page that appears to be his,” Nolen posted the following: “This is the last days… AMERICA AND ISRAEL ARE WICKED. WAKE UP MUSLIMS!! !” The FBI is assisting with the investigation after putting out “an alert to local law enforcement officials across the country to be on the watch for so-called lone wolves who might respond violently” in the wake of U.S. bombing in Syria. Now ask yourself: is this scenario credible? Nonetheless, the “beheadings”are getting major traction in the U.S. press. Magazines feature articles and editorials, television anchors report with great gravity, and radio hosts banter with listeners about these fake events. WAKE UP AMERICANS!!! As this war propaganda multiplies, with gullible members of the public accepting these psy-ops as fact, at stake are the destruction of the Middle East, continued massive “collateral damage” in Iraq and Syria – and the degrading of our own collective mentality. 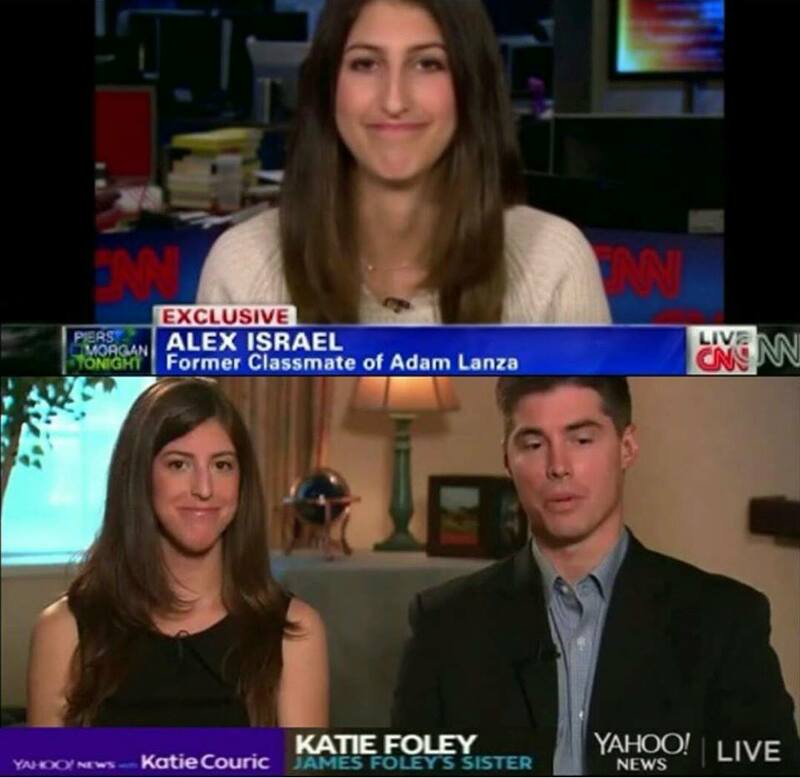 “Media Damage Control on James Foley Video: Experts Now Conclude Video Is Fake” (Red Pill Revolution). “Foley Murder Video ‘May Have Been Staged’.” The Telegraph, August 25, 2014. “ISIS Video Shows Beheading of American Journalist Steven Sotloff.” CNN World, September 9, 2014. “James Foley Steven Sotloff ISIS Beheading Absolutely Fake Hoax” (TeamWakeEmUP). “Staged Foley, Sotloff Beheading Videos ‘Not Evidence,’ U.S. Determined to Wage War of Fear on Its Own People.” 21st Century Wire, September 9, 2014. James Tracy, “Who Is Behind the Islamic State (ISIL) Beheadings? Probing the SITE Intelligence Group.” Global Research, September 15, 2014. “ISIS Video Shows British Hostage Being Beheaded.” New York Times, September 14, 2014. “French Hostage in Algeria Is Beheaded in Video Released by Militants.” New York Times, September 25, 2014. “Three More Countries Join the Coalition against ISIS.” Time.com, September 26, 2014. “Woman Is Beheaded in Attack at Oklahoma Food Plant.” New York Times, September 27, 2014. “Oklahoma Beheading Hoax Alton Nolen ISIS Lone Wolf” (TeamWakeEmUP). Michel Chossudovsky, “The Terrorists R Us: The Islamic State Big Lie.” Global Research, September 25, 2014. Vivian Lee PhD, is a professor at an East Coast university. The 'video' of the alleged decapitation of James Foley in northern Iraq by an agent of the "Islamic State"
I am prompted to write to you because I saw and heard you on what passes for 'news' in these isles on the likelihood of finding the British subject who carried out a supposedly heinous act. I note that a naive assumption has been made - that the recorded voice was that of the masked murderer. Although I have served as an orthopaedic and trauma surgeon and thus was used to amputating limbs, I have shrunk from 'videos' allegedly reporting decapitation in Syria where HMG has been supporting terrorist actions against the sovereign government there. However, because this terrible death of Foley was being given the full 'megawattage', I viewed it after my sister had sent me the link. I watched it several times, bracing myself as the knife was drawn across the young American's neck. It was obvious that it was a rather poor piece of prestidigitation. I made these comments to my sister (enhanced now for explanation) and they were placed on a web site. I understand that away from the MSM there is universal scepticism as to the 'decapitation'. 2. The neck - after ''beheading'' is very clean cut and not bloodied. With a knife, that was likely not sharp, the skin incision would have been jagged. Did the assassin take a wet cloth to clean the neck stump? Of course he did not. Maximum effect was the aim. 3. This stump of neck, parts of the right hand look pale and bland - looks like a dummy from an Oxford Street window. 4. I note 'pixillation' above the left ankle. Why? 5. The suit is NOT a Guantanamo 'jump suit'. Someone had written of him being clad in a 'jump suit', from that torture centre, for extra effect. We know it is poor conjuring, but the lie penetrates because the whole of our vile MSM conspires with the psychopaths who run the show. Furthermore, anti-Muslim prejudice has been massaged vigorously and the big lie of Hitler sinks deeply in. I am aware Sir Peter that the SIS in Britain have looked very closely at this 'video'. Given its conclusion, I have to question whether there was a surgeon, anatomist and forensic pathologist on hand to add expertise to any conclusion. Why should I question the 'diagnosis' here and have the temerity to approach you? It is because I have had a scientific training and a good deal of experience of knives and tissues, and blood. Above all, I am sick in my 74th year at hearing lies, pulled out of the air for geo-political reasons (and especially those of Oded Yinon). I took a lead in pleading for an inquest, where there had not been one, into the unnatural death of Dr David Kelly. The Hutton Inquiry that was set up by Falconer within three hours of the corpse being found was 'insufficient' in every way. I said so outside the High Court 19-12-11, and I also said I cannot stand lies. My interest is as a universalist. I see all humans as being of equal worth. I say 'No mother and child should be in the least harmed anywhere in our still beautiful world'.